What’s Halloween Without a Haunting? Publisher  / Place of Publication: Wolfe Publishing Ltd. / 10 Earlham Street, London WC2. Publisher  / Place of Publication: Ace Books / 1120 Avenue of the Americas, New York, N. Y. 10036. Publisher  / Place of Publication: Various other publishers / Various locations. 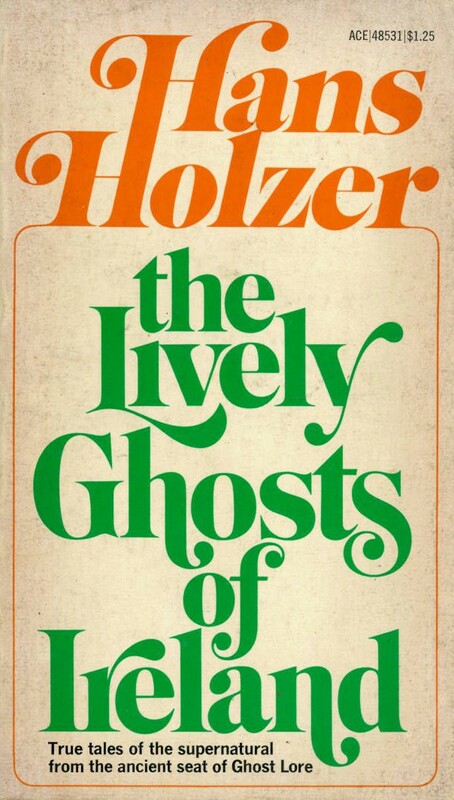 About: Hans Holzer was a well-known ‘ghost-hunter’ and paranormal researcher who travelled the word in search of psychic experiences. The book from which this chapter is taken could be seen as the outcome of a ‘ghost safari’ in Ireland. The haunted cottage in question is located in the Grogan Family estate at Slaney Park, Baltinglass in West Wicklow. Extra #1: Most editions of the book include a charming drawing of the ‘haunted cottage’ by Catherine Buxhoevden. Extra #1: Check Libraries Ireland for this publication. Extra #3: Check OCLC WorldCat.org for this publication in libraries worldwide. Publisher / Place of Publication: Wordwell Ltd. / Unit 9, 78 Furze Road, Sandyford, Dublin 18. About: An article outlining the career of Richard Crosbie, Ireland’s very first balloonist. The author of this article had just recently published the definitive book on Richard Crosbie. WW Connection #1: Richard Crosbie was born in Baltinglass in West Wicklow. Extra #1: includes illustrations and photographs. Extra #2: Check Libraries Ireland for this publication. Extra #4: Read this article online via JSTOR. [Personal registration / conditions apply]. Alternatively, your local public library may provide free online access to this article. Publisher / Place of Publication: Four Courts Press Ltd. / 7 Malpas Street, Dublin 8. 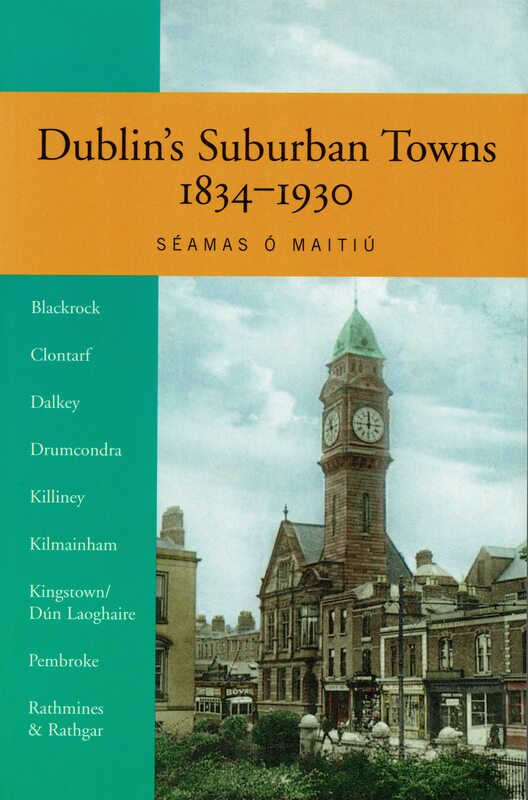 About: In the nineteenth century places such as Clontarf, Drumcondra, Dalkey, Killiney, Kilmainham, Pembroke, Kingstown, Blackrock, Rathmines and Rathgar were the suburbs of Dublin City. This book looks at the history of these townships and their impact on the political, social, domestic and cultural life of the ever expanding capital city. Chapters: Introduction — Establishing townships — Township administration, finance and staffing — Health and wholesome water: the fight for environmental control — The Royal Commission on boundaries: the Exham Commission, 1878 — From township to urban district council — Cultivating the civic arts: expanded services — In time of international and domestic war: 1914-23 — In a free state, 1922-30 — Notes — Appendix: Rathmines & Rathgar Commissioners, 1847-1930 — Bibliography. WW Connection #1: The author is a resident of West Wicklow. Extra #1: includes many illustrations, photographs and maps. Publisher / Place of Publication: Alexander Thom and Sons for Her Majesty’s Stationary Office / 87 Abbey Street, Dublin. About: The property tax system of 1850’s Ireland. It was the first major attempt at valuing property. This section lists householders in the Parish of Tober, part of the area covered by the Poor Law Union of Baltinglass in West Wicklow. Contents: Friarhill — Manofwar — Sandyhills — Tober Demesne — Tober Lower — Tober Upper — Wards of Tober. Extra #1: Read the entries for GV Tober Parish (pdf file). Extra #3: Check Libraries Ireland for this publication. Publisher / Place of Publication: Poolbeg Press Ltd., / 123 Grange Hill, Baldoyle, Dublin 13. 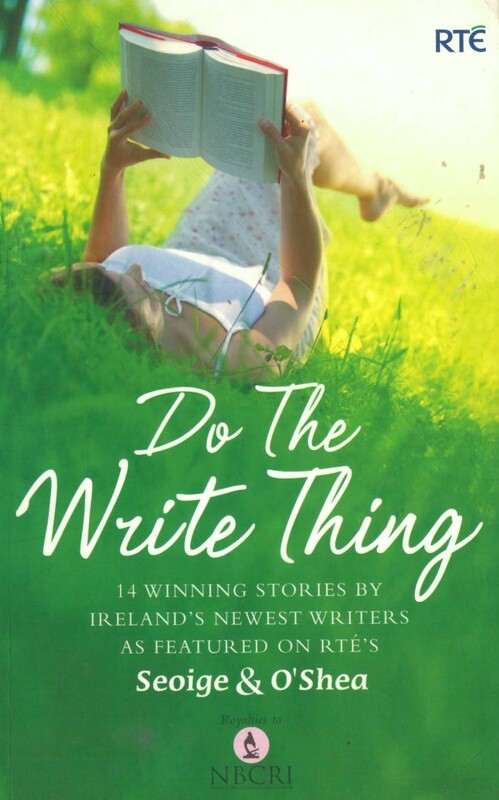 About: This short story appears in the book featuring the winners of the ‘Do the write thing’ short story competition in association with the RTÉ television programme ‘Seoige & O’Shea’. The story was inspired by the loss of the author’s son some 11 years earlier. WW Connection #1: The author is from Whiterock, Tinahely in West Wicklow. Extra #1: Opening line: “It is the 19th of August 1996 and a scorching hot summer’s evening, 4.30 p.m. to be precise. There is hardly a cloud in the sky”. Extra #4: Link to the Publisher’s website. Publisher / Place of Publication: Rathdangan Community Council / Rathdangan, Co. Wicklow. About: A well-illustrated description of a heritage trail in the Rathdangan district which links many points of historical interest. Another excellent example of a local community initiative to highlight the heritage and history of their neighbourhood. Contents: Introduction and Acknowledgements – Hello to Rathdangan [poem] / William Byrne — Rathdangan Heritage Trail map — Killamoat Church — From Killamoat Church [poem] / Tom Kelly — The Camp Field — School — The Moat — Football fields – The school and the Ruahan — The Butler’s field — The old road -– County football final — Mass house – Accident site – Shebeen – Rathdangan Church and O’Toole Memorial Hall — The village of Rathdangan: 18th to 20th century  Shops and public houses  Schools  Tradesmen  Fair — Toberowen – The shoeing stone — Moses Walsh’s schoolhouse — Mrs Kehoe’s shop — Kavanagh’s Tailors — Cornaan Barracks — Cornaan Church — Tubbernashankill — Cranareen Cemetery. Extra #1: Includes map with photographs profusely interspersed throughout the text. About: Hearth Money or Chimney Money was a 17th-century tax based on the number of fireplaces in a person’s dwelling. The original returns for this levy were lost in the destruction of the Public Record Office. However some earlier transcriptions survive. This article mainly consists of a listing of the Hearth Money Roll for County Wicklow as transcribed by Mr. William Monck Mason in the 19th-century. The listing gives the names of all the parishes and townlands of which the County was then composed (except for some places missing from the original manuscript) together with the number of inhabited houses in each townland. Unfortunately, the only householder names recorded by Mr. Mason are those living in houses with more than one hearth. The author of this article has written the introduction to this listing and added footnotes as appropriate. Extra #2: Check OCLC WorldCat.org for this publication in libraries worldwide. Extra #3: Read this article online via JSTOR. [Personal registration / conditions apply]. Alternatively, your local public library may provide free online access to this article. Creator / Author: Fr. Richard Cantwell (editor) & contributors. Publisher / Place of Publication: Parish of Valleymount / Valleymount, Co. Wicklow. About: This is the second of four collections of local history material which was first published separately in various issues of the Valleymount Parish News. It covers areas such as Lacken, Baltyboys, Blessington, Poulaphuca and Valleymount. The major article in this collection is on the history of Valleymount G.A.A. club. It is a photocopied rather than printed publication and the quality of reproduction reflects this. Contents: Cover drawing: The Church — Photograph of C. S. Parnell and T. M. O’Reilly — Valleymount Church Restoration / Fr. Richard Cantwell — St. Kevin’s Window / Fr. Richard Cantwell – St. Joseph’s Valleymount, Re-opened / A Special Correspondent — Bishop Boden’s Well — Parish Registers of Births, Marriages and Confirmations / Fr. Richard Cantwell — Ireland’s ‘Forgotten’ Valley / Barbara Page – To the memory of Father Rowan [poem] / Anon — Lough Cleevaun [poem] / T. M. O’Reilly – Granabeg [poem] / T. M. O’Reilly — …”When yez lave me in Baltyboys” / Matty Lennon – Sister Kevin Osborne / Fr. Richard Cantwell — Fr. Seamus McGeehan [obituary] / Mgr. Owen Sweeney — The Lord Mayor / Mattie Lennon — Diamond Jubilee of Father Dufficy / Fr. Richard Cantwell — The Dublin Blessington Steam Tram / Fr. Richard Cantwell — Valleymount GAA Club / Sean O’Sullivan – Items from ‘Leinster Leader’ – A Peek at our History / Fr. Richard Cantwell. Extra #1: Contains illustrations and reproduction photographs throughout the text. Extra #2: Link to the full text of this magazine via this page at blessington.jimdo.com. Publisher / Place of Publication: E. Ponsonby / 116 Grafton Street, Dublin. About: An article by this Grangecon author on various archaeological features known to him as well as historical snippets gleaned from conversations with locals. The area covered ranges widely from Glen of Imaal to the Carlow border. The amount of information on each topic is relatively sparse and probably deserves fuller treatment. The biggest section of the article is given over to the family of Rev. Benjamin Neale. Extra #1: includes some rough illustrations and the Neale Family coat-of-arms. Extra #4: Browse the 1901 Census entry for the author of this article. Extra #5: Visit the County Kildare Archaeology Society website. Publisher / Place of Publication: Browne and Nolan Ltd., / Dublin. About: The book from which this chapter is taken is an official handbook detailing agricultural and industrial progress in Ireland during the 18th and 19th centuries. This edition was published following the International Glasgow Exhibition of 1901 in an attempt to give a full and detailed account of Irish industry and agriculture at the time. This chapter appears between pages 241-257 of the book. It briefly looks at the history of bacon curing, provides detailed statistical analysis relating to pig production for the previous 60-year period and relates some of the then current practices in pig processing. WW Connection #1: According to the author of this book chapter, “Tradition has it that the birthplace of the bacon curing industry was Baltinglass in the County Wicklow and that the county was at one time the scene of operations of a large number of small curers, who cured long sides for the Dublin market.”. He does not present any substantial evidence for this, but it certainly opens up an avenue for future research. Extra #1: Contains photographs and tables throughout the text. Extra #2: Link to the full text of the book chapter here. Extra #4: Check Libraries Ireland for this publication. Extra #5: Check OCLC WorldCat.org for this publication in libraries worldwide. Enter your email address and receive notifications when new posts are published.